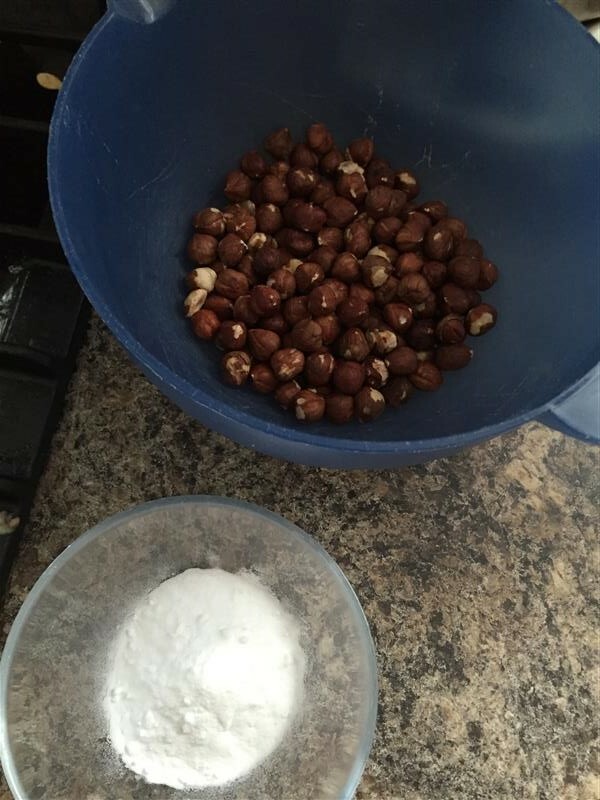 The first step in the blanching process is to bring water to a boil, then add baking soda. This looks rather like the beginning stages of grape jelly, but tastes absolutely nothing like it. If I weren’t prepared for it, I’d think there was something wrong with my hazelnuts, because, really, why would the water turn purple? Fortunately, this is another one of those things that Rose warns about, so there’s no need to freak out. 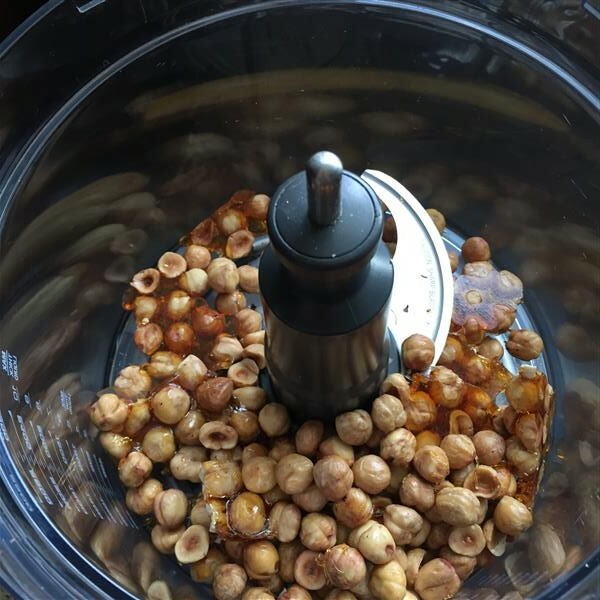 After the hazelnuts are blanched, rinsed, de-skinned (a somewhat tedious manual process), and dried off, you toast them, then pour on some caramelized sugar. Let that cool, then turn it into praline powder. Mix butter & sugar, add the praline powder, then add egg and flour. At this point, I started to wonder why I’d gone to all this trouble, because there was a *tiny* amount of dough. 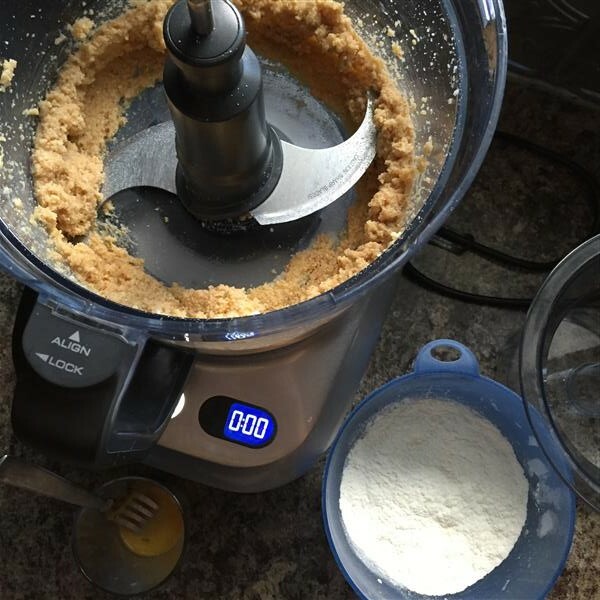 I used a small disher scoop to shape the cookies. It turns out that the first one I dished out was exactly 10g, which is what the recipe called for, so… perfect! I managed to get 31 cookies out of this dough… and 30 of them were delivered to my friend Gilad, for his final installment of his prize from last year’s Movember auction. Jay and I split the 31st. 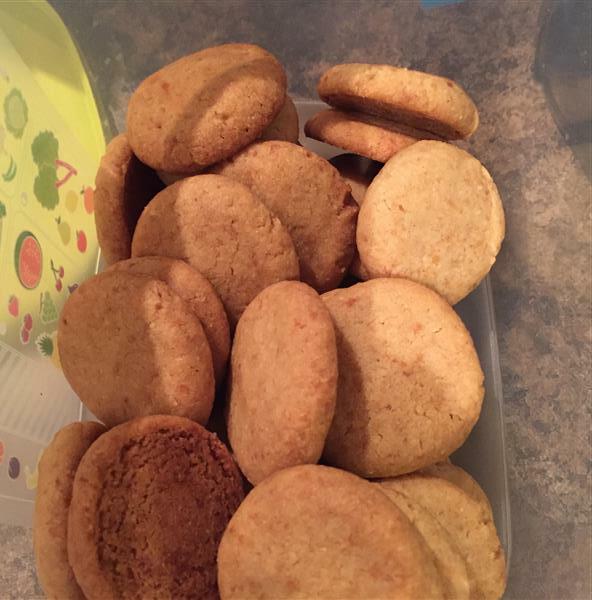 Posted on November 16, 2015 November 12, 2015 by KristinaPosted in The Baking BibleTagged cookie, hazelnut, praline. Next Next post: Pumpkin Pecan Pie? Or Spritz Butter Cookies? What a pretty color your cookies are. Did you bake them for the full amount of time? Poor Gilad, his year of goodies and treats has flown by. I have to agree – that photo catches my attention every time! Your cookies do look a nice colour. I think I should have cooked mine less. Gilad is going to miss his treats. 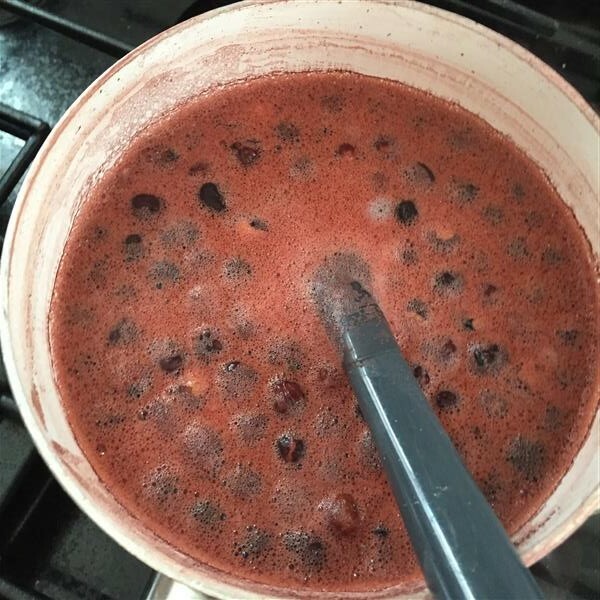 That photo of you blanching the nuts looks like a pot of red bean soup to me. 🙂 And your processed pralined looks very fine! Maybe it has got to do with the type of food processor.. I think I need to get one of yours..what brand is yours? It’s a Breville Sous Chef. When I got it, I was singing its praises just about every post. My first post about it was here: https://eatsndrinks.ca/2015/03/14/sour-cherry-pie/ … looks like I need to go back and update image URLs, though. Many of the images didn’t seem to survive when I moved the blog to new hosting.